Canoeing down the North Saskatchewan Riveroffers a different view of the valley. 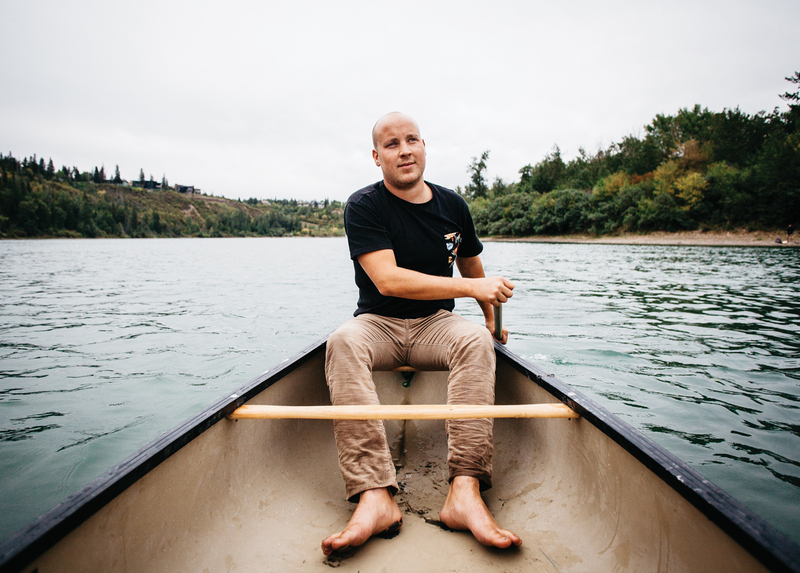 With my right hand on the grip and left on the shaft, I dip a wooden canoe paddle into the North Saskatchewan River and pull against the water. The effort leaves a miniature whirlpool in my wake, spiralling against the canoe as it is propelled eastward. With each stroke, the splash and drips of water from the paddle break the silence of my surroundings. Thick tree lines run along the river’s edges. 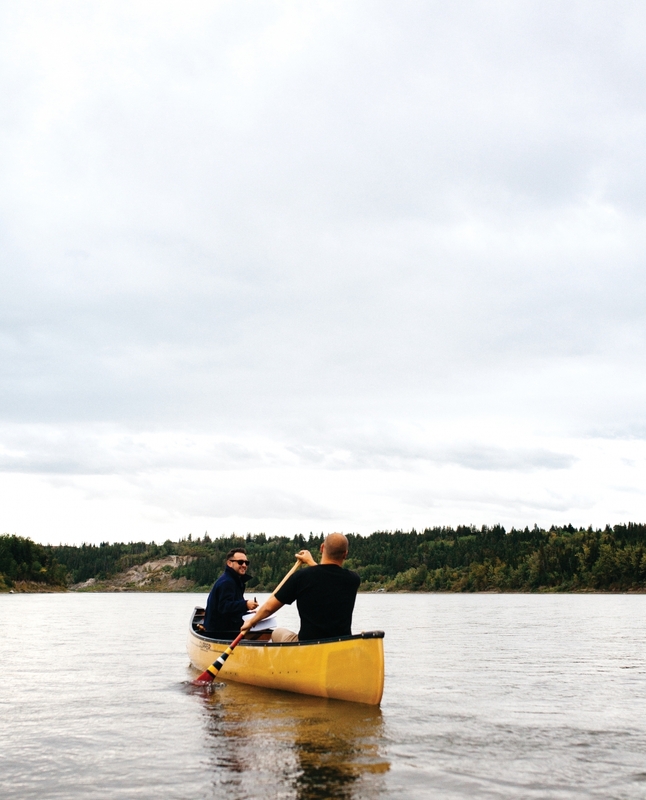 The only souls in sight are those of the occasional eagle or osprey in the sky or coyote striding along the bank, keeping a careful eye on the banana-yellow canoe and its two passengers. 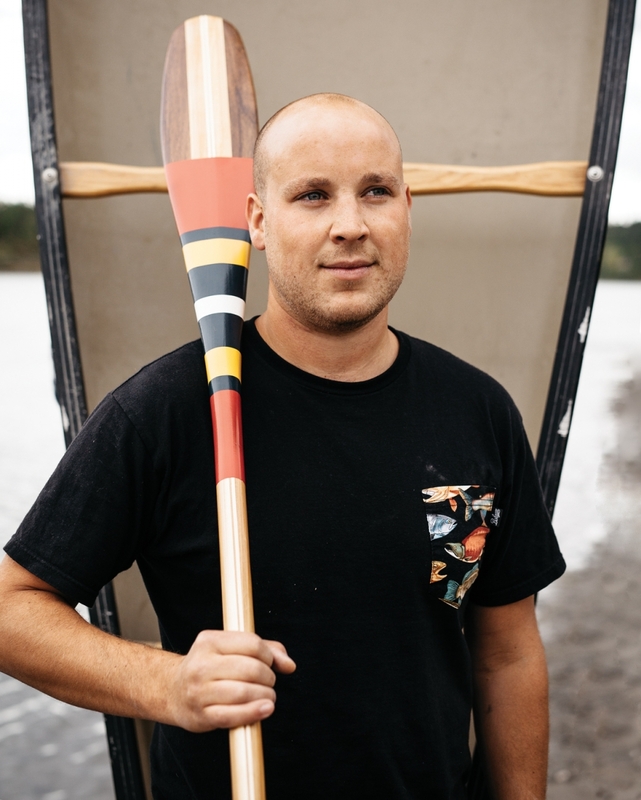 My companion for the day, Conor Kerr, is a canoeing enthusiast who makes this same two- to four-hour trek down the North Saskatchewan River, sometimes four times a week from May to October. Today, Kerr is dressed only in a black T-shirt and corduroys. It’s not that strenuous a trip, he tells me, so wearing “workout clothes” is not necessary. He has been gracious enough to share with me his favourite pastime. 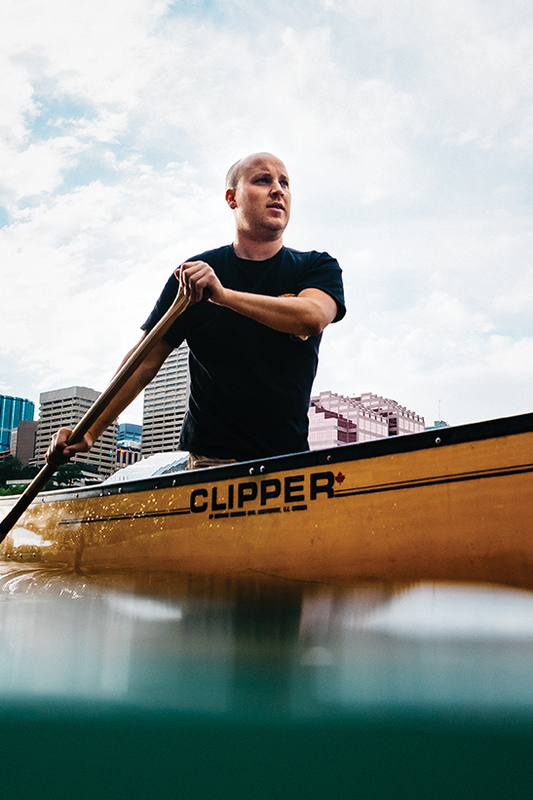 On the water, it’s secluded, it’s peaceful and, at times, filled with only the sights and sounds of nature – which is remarkable given that we are nearly smack-dab in the centre of Edmonton, cutting through the waters of the North Saskatchewan River from Whitemud Park to Rafters Landing, the home of the Edmonton Queen riverboat. On any other day, my eyes might have rolled into the back of my head at that statement. I’ve heard many times before how amazing Edmonton’s river valley is. Edmontonians love to cite its greenery, walking paths, bike trails and relative isolation from the bustling activity of the city as a “must-see” in town but, as we round the river bend near the Royal Mayfair Golf Club and the skyline shifts to reveal the city’s towers peeking over the swaths of forest, I can’t help but be in awe of a view I’m not sure a majority of Edmontonians have experienced. any Instagrammer to immediately reach for the phone. We pass under the High Level, Low Level and Walterdale bridges, catching views of pedestrians and the LRT crossing the river. We see, as well, a strange trend of abandoned lawn chairs along the banks. Kerr quickly assures me that they are not always empty. Gold panners and fishermen often leave them there and return the following day. 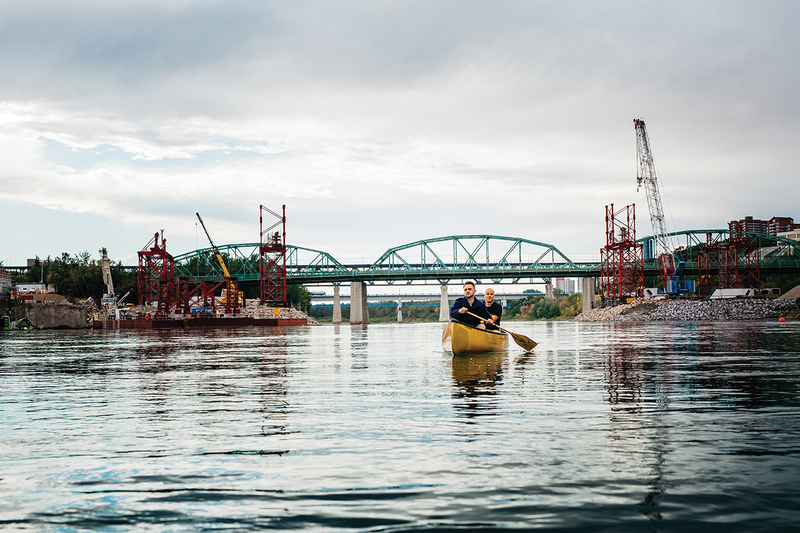 As we pass under the old Walterdale Bridge and the accompanying construction of the new Walterdale Bridge, we get probably the clearest view of the city from the water of the entire trip. 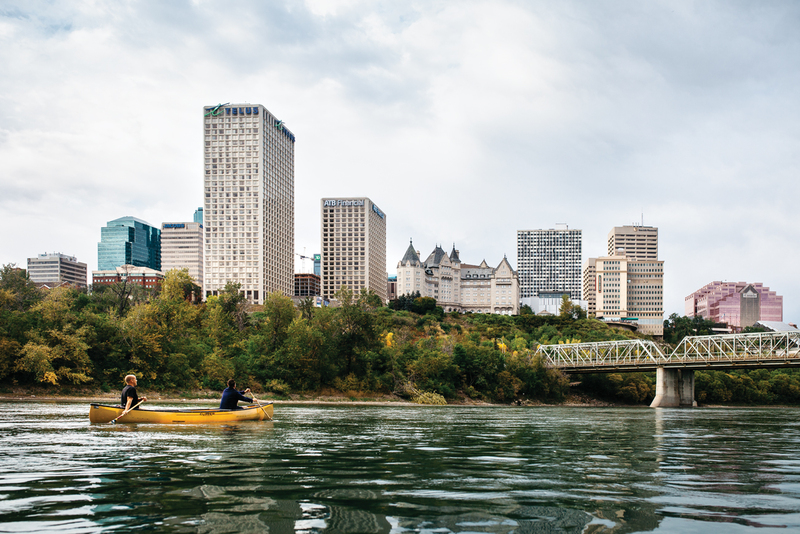 From the water, Edmonton looks somehow even grander. I suppose it’s because we are looking up at it from the city’s lowest point, but it’s definitely the “hero shot” viewpoint for Edmonton. 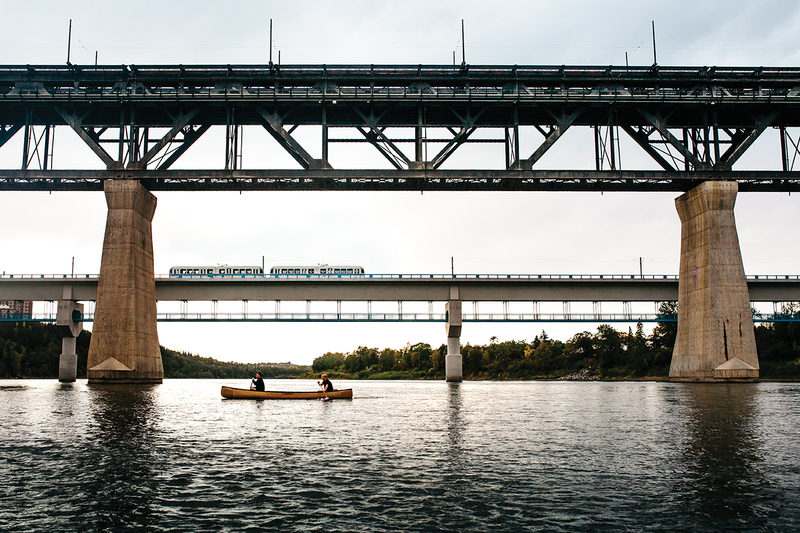 And even though I haven’t left the city’s boundaries, it’s at that point, shortly before docking near the Edmonton Queen, that, without ever having left, I feel I’ve emerged from the wilderness and returned home.